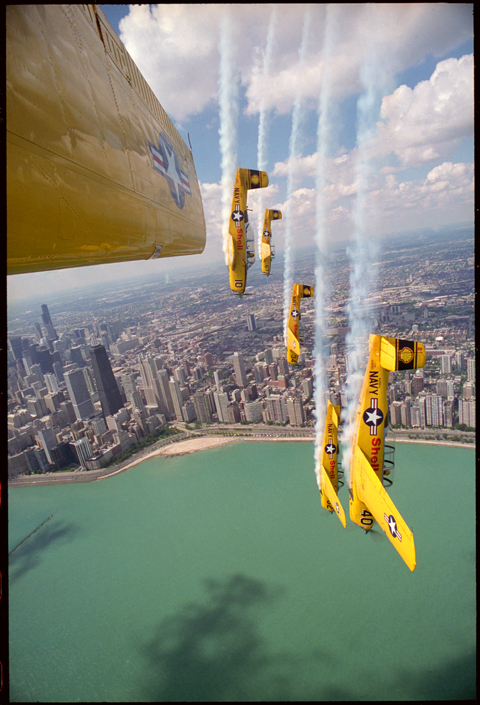 The Lima Lima Flight Team returns to the Chicago Air & Water Show this weekend. John Rippinger acknowledges the danger. He flies his T-34 within inches of his Lima Lima Flight Team’s five other planes during air shows. And that’s why they conduct extensive briefing and debriefing sessions before and after every show. Yet Rippinger knows there’s a danger threatening air shows that practice can’t avoid: the sequester. The Chicago Air & Water Show lost its military acts, including F-18 fly boys and performances by the Air Force Thunderbirds and the Golden Knights U.S. Army parachute team, to federal budget cuts. That shifts the focus to civilian acts like Lima — originally of Naperville. Their pilots will take off at the 55th annual air show on North Avenue Beach this Saturday and Sunday with 14 other civilian aerobatic and water-based performances, including the AeroShell Aerobatic Team, Sean D. Tucker & Team Oracle and the Firebird Delta Team. Mary May of the Chicago Department of Cultural Affairs and Special Events said this year’s lineup of civilian flight teams should still make for an amazing show. Rippinger thinks the Chicago Air & Water Show is a good test for these civilian acts. He said air show coordinator Rudy Malnati knows how to get the top civilian performers. Two civilian-owned military planes will fly over crowds on Lake Michigan: a British Sea Harrier — a noisy “barn burner,” as Rippinger calls it — and an A-4 Sky Hawk. Still, the thrills provided in the past by the Thunderbirds and the Blue Angels, flight teams that alternate appearances, have long been a highlight of the Air & Water Show. Although the impact of the sequestration means higher demand for civilian teams in the short term, Rippinger said the lack of military acts could eventually doom air shows. “‘Where is the air show business going next year?’ is the big question,” Rippinger said. There’s a silver lining, as both the Thunderbirds and the Golden Knights have been cleared to resume training flights to practice for 2014’s slate of air shows. For now, Rippinger and his “eclectic group” of Lima Lima pilots will take to the skies this weekend. He said the Lima Lima Flight Team, which started as a nonprofit organization in 1975 at the Naper Aero residential airpark, has performed all over North America. The pilots themselves are also diverse, living all across the U.S. He related the flight team’s air shows to theatrical plays rather than Hollywood stunts. While their show is new to every audience, pilots hope the performance is always the same. “It’s something you’re trying to self-perfect all the time,” Rippinger said. An air show pilot is a special breed, Rippinger said. He or she must be willing to spend money on a plane and gas and have the talent and time to fly. Although I welcome your letter of appreciation, I must admit that it does not surprise me at all. For the entire time that they have been in existence, Lima Lima has helped to define professionalism in the air show industry. 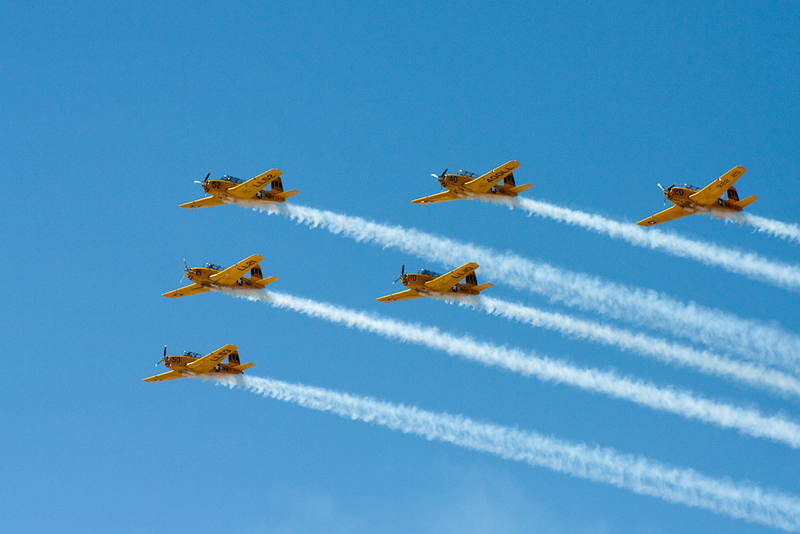 They are precisely the kind of team that a show like the Pensacola Beach Air Show would want to have performing under the difficult circumstances that you found yourselves in earlier this month. Congratulations on having the good sense to hire the best performers available and congratulations on overcoming so many different obstacles to conduct a fine show that was a positive reflection on the people of Pensacola Beach, the air show industry and the Santa Rosa Island Authority. One of the biggest issues with summer flying is dehydration. Our bodies handle excess heat through perspiration (sweating) or secreting moisture through our skin pores which then evaporates, thus creating a cooling effect. Our bodies are “water cooled.” We drink fluids to replace the perspiration. But, if we do not drink enough, then we become dehydrated. Simply, the more you sweat, the more you have to drink, even if you are not thirsty. This is especially true in hot and dry conditions. You guys out in the southwest, probably don’t sweat much, as the moisture evaporates before it has an opportunity to stain your clothes. Now, in the east, where humidity is normally much higher, we have the issue of humidity blocking the cooling evaporation. Simply put, the more moisture in the air (humidity), the less the effect of evaporation on cooling the body. What happens as your body becomes dehydrated? One of the first symptoms is having difficulty concentrating on the tasks at hand. As you dehydrate, your blood becomes thicker. The brain doesn’t like thick blood and therefore slows its activity, resulting in confusion or lack of concentration. Other symptoms are: headaches, light-headedness, cramps and even seeing spots or stars. All of these are indications of dehydration, requiring immediate attention with fluids and rest. Problem is, you are already behind your body and it will take some time to catch it up. So, we all know that in order to prevent dehydration, we should be drinking lots of water and sports drinks, etc. Now, consider this: It’s really hot, you hydrated before your flight and you are now working very hard to maintain your position in formation, how do you hydrate? You are still sweating and losing moisture from you body, but you can’t replenish and this is not the time to start losing your concentration. We have all tried bandannas, fans, misters, wet towels, even towels with ice cubes; we’ve tried this and that and none of it is effective for more than a few minutes, or it’s uncomfortable or bulky. Black Ice consists of a lightweight (8 ounces) two-piece personal cooling system that fits comfortably around the neck and is less than one inch in thickness. The two-pieces consist of a Neoprene collar and a patented cool pack filled with some high tech stuff that is programmed to produce a consistently regulated 57 degrees. The cool pack attaches to the neoprene collar by Velcro dots and the collar is placed around the neck. You can fit it as tight or loose as you like and there is no restriction to movement even with a helmet. Under the conditions I mentioned in the first paragraph, this cooling system will last at least 30 minutes, although I have used one for almost an hour and a half. When you feel the cool pack starting to warm up, you swap out the cool pack in seconds with a fresh one. I carry a small cooler filled with ice and water and a spare cool pack (CCX-S), in the cockpit. When I swap the cool pack out, the one I just replaced will be recharged in about 20 minutes and I can keep doing this for as long as I need, with no loss of the cooling effect. I do not carry the cooler if I am anticipating any negative Gs, as the coolers are not watertight. But, then at least I still get the benefits of the first use of the cool pack before I start to sweat and have the sweat running into my eyes. This works. There are many uses for this personal cooling system, so you are not just buying something to use when you fly, but something you can use just about anywhere, when you expect to build up a sweat. I keep the cool packs in my fridge in the hangar and wear them every time I am working in the yard, flying or anything outside. If you are interested, go to: http://www.blackicecooling.com/, for more information. If after reading the information, you would like to own one of these fantastic personal cooling systems, just fire me off an email, or send an email to info@blackicecooling.com and mention this article for a 10% discount and free shipping. Personally, I would go for the CCX-S, available in a range of colors or the MaxSys MS-1, which is what I have. My wife Patti has a pink collar, while I have the black. We keep two cool packs recharging while flying and she tells me when to swap them out. When she is mowing the grass, she’s on her own. The Lima Lima Flight Team had always been very intrigued by the brightly painted, yellow T-34 Mentor aircraft of the Navy. 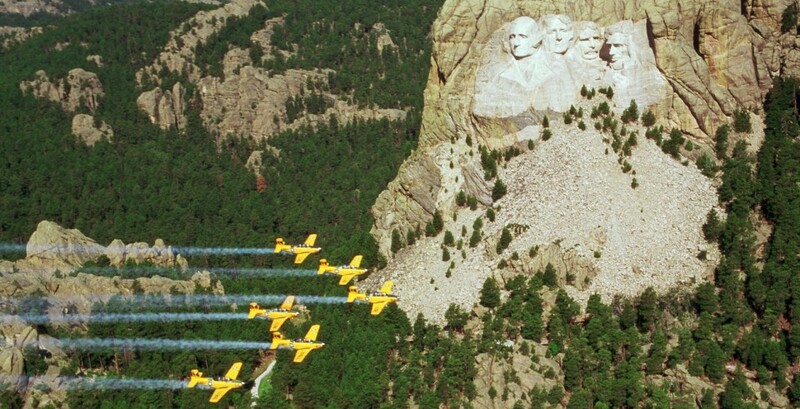 Since formation flying had always been uniquely a military activity, the club decided to have their T34 aircraft painted to identically mirror the original Navy training colors; with just a few minor differences of course. Specifically, the black tail band; this has become the Lima Lima trademark. Finally, the “Lima Lima” name was derived from the FAA designator of the team’s home field in Naperville; LL-10, hence the LL on the tails of their aircraft. The Lima Lima Flight Team has evolved their crew in a way that mimics that of the military. As the military trains their pilots, they recognize different levels of formation skills, from basic tactical formation flying all the way up to Blue Angel and Thunderbird demonstration teams. The Lima Lima Flight Team is no different, they practice on a weekly basis, and over time are able to develop more sophisticated formation skills. The team’s demonstration is flown with six airplanes, and each of their shows includes several different formation configurations. Some of the favorites include the six ship wedge, double arrowhead, basic finger four and diamond formations. The Lima Lima Flight Team has developed a series of formation aerobatic maneuvers which each demonstrate the full range of the T-34 performance envelope. In the days leading up to Thunder Over Louisville this year, most of the aerobatic pilots came to our local FBO (Bowman Field KLOU) and I was lucky enough to meet one of the aerobatic pilots of the Lima Lima Flight Team! His name is John Rippinger, but you can call him “The Ripper” for short. Originally from Schaumburg, Illinois, John is the president and CEO of Rippinger Financial Group. John has been flying for over 40 years in both fixed wing aircraft as well as balloons. In addition to his flight duties, John also manages over twenty of the product sponsors for the Lima Lima Flight Team. John, his wife Susan and their dog Aileron still live in Illinois today. 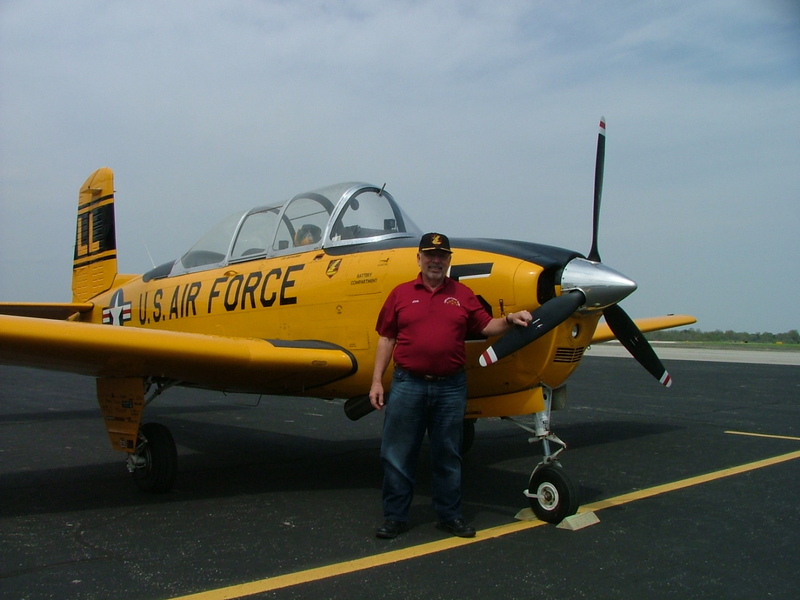 John started flying T-34’s in 1989 and has been a member of the team since 1992. This fast paced and high adrenalin sport, although fascinating to watch is in fact extremely dangerous. Being the student pilot that I am, I was extremely excited to inquire about the speed of his T-34 aircraft. He informed me that during their shows there are times when the aerobatic aircraft travel up to 210 knots; that’s equivalent to anywhere between 240 – 250 miles per hour! On average, they expect to pull about 5.5 G’s and “No,” surprisingly they do not wear G-suits. I had to stop him there; so how do they function and continue to concentrate while pulling 5.5 G’s without a G-suit? According to John (The Ripper), the answer is simple; “stiffen your abs and grunt” John says. By doing this simple procedure you are naturally securing your inside organs, and eventually this becomes second nature. As we continued with our interview, John went on to explain the nature of the team’s typical show plan. Each of their shows are strategically planned out and choreographed for them and every pilot has one specific place to be in the formation. The key is that the group remains consistent every single time they rehearse or perform. According to John; the actual act of flying the aircraft must be as familiar as breathing. His only job while flying his T-34 in formation with his five companion birds is to watch the leader at all times.